How high do you want your release point when hucking? You could argue that for maximum distance a higher release is best, all things being equal1, as the exact same throw from a little higher will stay in the air that fraction longer. Also, if there’s a particular height you want to achieve in order to get over any defenders between you and the receiver, starting higher means you need less of an upward angle to achieve that height – and clearly a less steep angle will waste less of the disc’s horizontal speed. On the other hand, you might be much more worried about how long the disc ‘sits’ at a catchable height — for a receiver to chase down — than about maximal distance, in which case throwing with the front edge tilted upwards may be beneficial. Tilting the disc up will give the disc more lift, and slow it down more rapidly, as the bottom of the disc hits the air; this will give your throw that easily-caught low-speed float at the end. To make this adjustment work, though, we might have to start the throw from a bit lower, otherwise having the front-edge lifted may balloon the disc too high overall. When hucking into a significant wind, there’s a clear and demonstrable advantage to throwing from low. You’ve probably discovered or been told already that throwing into the wind is easier from close to the ground. But why is that? There are two factors: one is the wind profile, and one is the wobble-damping I discussed in a previous article. Firstly, the wind. 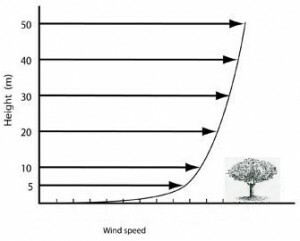 Wind strength is not the same at different heights above the ground. You’ve probably experienced this first-hand, both in ultimate and elsewhere. It’s not that windy near the ground; when you throw a high, floaty hospital pass, you can see the disc is much more affected by wind. And standing on top of a mountain is a great deal windier than at the bottom. The ground itself creates drag and slows down the wind. As you get lower, there’s more stuff in the way, and that applies not just to shelter provided by trees and buildings in the distance, but also to something like the grass on the pitch itself. The grass only slows down the air right next to it, but that slow air in turn slows down the air just above that, and so on. There’s drag all the way up, and so you’ll almost always find that the lowest wind speeds occur near the ground2. How does that help us? We’re not generally trying to throw something which stays a foot from the ground for the whole flight, meaning that at some point the disc will be exposed to stronger winds. So why is a low release so much better? Remember that most of the wobble we put on the disc at the point of release3 will settle down quite quickly (provided we generate enough spin). So there’s a significant difference between a disc released low, in lesser wind, and one released in the stronger wind higher up, even though both eventually end up at the same height. Only the low release has time to smooth out its wobble before hitting the worst of the wind. And as we discussed in the previous article, wobble combined with high airspeed will flip the disc. The overall message: discs thrown from lower will flip over less into the wind than those thrown from higher, provided that your low release isn’t wobblier or otherwise less controlled. 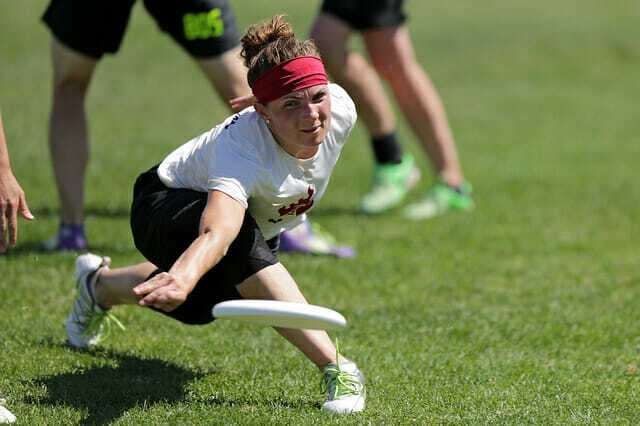 If you’re throwing hard into the wind – hucking – or if the wind is very strong, you may need to pay attention to where you release the disc. Experienced handlers make these choices automatically – now you know why. That wind profile has an important repercussion downwind also. The lift on the disc is a function of its airspeed, of how fast the air passes over the surfaces of the disc. And a disc traveling with the wind – even if it’s traveling quite fast relative to the thrower or to the pitch – won’t be traveling very fast through the air. So the disc has very little lift, and tends to drop like a stone. But often, right at the end of its flight, it will just stay afloat that fraction longer than you expect. Where did that come from? A disc flying downwind won’t experience much drag. It will be moving at a similar speed to the air around it, meaning there’s nothing to slow it down. So at the end of its flight, as it drifts lower, it will still be traveling down the pitch quite fast. 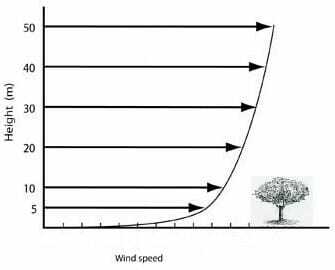 If it drops to a height where there’s significantly less wind, so that it’s now moving much faster than the air around it, it will suddenly generate much more lift. Very often, a downwind disc that appears to be about to hit the ground will seem to get a surprise little extra float at the end. This is not the time to bemoan how unlucky you are, that after you gave up on the disc it surprisingly decided to float a little longer; rather, this is predictable, consistent behavior that you should be expecting if you understand the wind profile near the ground. Don’t give up chasing discs downwind unless they’re really out of reach. Basically, playing in the wind is complicated. There are some consistent truths, but few easy answers — it’s no surprise that experience wins on windy days. Get out there and throw when you can. 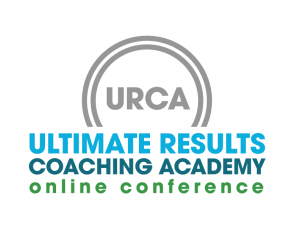 If you’re interested in this sort of technical analysis, check out the Ultimate Results Coaching Academy conference. I’ll be giving a talk on technical aspects of throwing. And even if you don’t want to listen to me ramble on, a whole host of amazing speakers — Ben Wiggins, Tiina Booth, Gwen Ambler, Tim Morrill and many, many others — will be talking about a huge variety of topics. And it’s all completely free! Go take a look. Benji Heywood is the full-time Director of Ultimate at the University of St Andrews, Scotland. He is also a coach-educator for UK Ultimate, and sits on the WFDF Ultimate Rules Sub-Committee. You can find more of his thoughts on the 'Understanding Ultimate' blog. Comments on "The Physics Behind Throwing in the Wind – Part II"